Post frame buildings are not the pole buildings or pole barns we knew in the past. Today’s post frame buildings come with many more options for a stronger building that is built to withstand almost any conditions. We build custom post-frame buildings that can suit any of your needs. Our design team will come up with the right size and type of post-frame building for you and our builders will get to work constructing the building quickly and efficiently, careful to make it just how you need it. Our team has been recognized nationally for safety practices, and our buildings have made a name for themselves as well. Contact us now to learn more about the perfect steel post frame building for your residential or commercial needs. 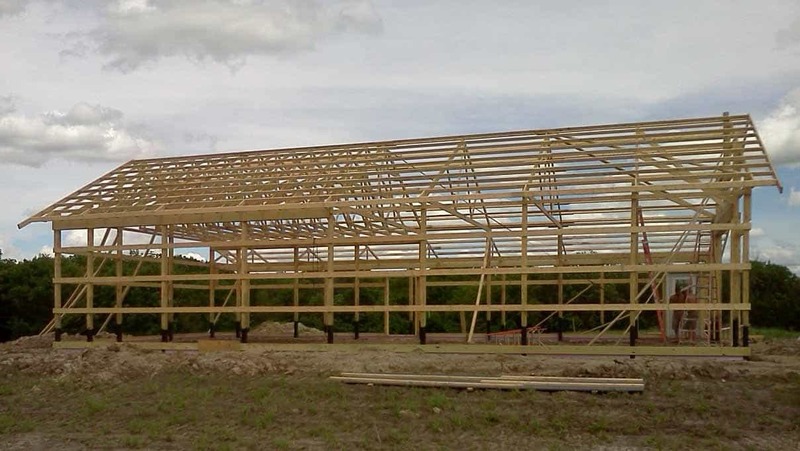 The following are some of the industries that commonly utilize post frame buildings from Greiner Buildings. Call us to learn more about a building for your industry. Residential: We specialize in custom shop homes, know as the SHOME®. These buildings are insulated and temperature controlled and contain both workspace and living space, the perfect way to work from home! Event Venues: We build beautiful event venues, such as wedding barns, designed to your specifications. Machine Shed: Storage for machinery is necessary for all sorts of industries – our buildings offer spacious, durable storage space to protect your assets. Lined & Insulated Shop: Get a fully insulated place to work that will withstand harsh weather and keep you and your work safe. Cattle Barns: A well-insulated barn is a must for any Midwest cattle operation – our buildings can help, with various stall options and venting solutions. Equestrian: We offer stall options and various light solutions for equestrian buildings, horse stalls, and riding arenas of all different kinds and sizes. Airplane Hangars: Our ability to make space-efficient buildings makes them ideal for industries that require a lot of open space for things like airplane hangars. Storage Unit: Our buildings are protected and durable, making perfect storage units. Storefronts: Because our buildings are customizable, they can fit the needs of every kind of store, whether you need a large showroom or lots of warehouse storage space. Contact us now to get a free quote for your next metal post frame building from Greiner Buildings.